We are engaged in rendering Circuit Board Design & Development solutions to our customers. These solutions are rendered under the close supervision of experienced & qualified professionals. Our solutions are appreciated for their high reliability, better performance and high production volumes. In our spectrum, we offer PCB Layout Computer Aided Design, Circuit Board Design And Assembly and Embedded Design Solutions. Sophisticated technologies and man power enable us to offer PCB Layout Computer Aided Design Services. Our engineers are well aware of latest technology and allow us to offer printed circuit boards by using CAD tools. Their meticulous efforts have enabled us to design and offer PCBs that are widely used in electrical and electronic industries. The PCBs we design and manufacture at our premises are widely preferred for high reliability, high production volumes and better performance. Our vast knowledge also allows us to offer maintenance and repairing services for these PCBs. 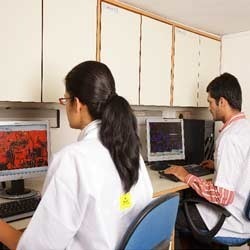 A leading manufacturer, we have cutting edge facilities and skilled professionals that allow us in offering reliable Circuit Board Design and Assembling services.Our CAD design team is well aware of the changing market trends and enables us to develop the circuit boards as per the industry requirements. 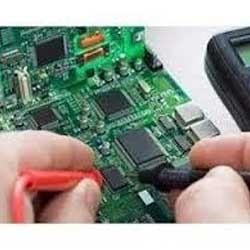 We also have expertise in offering reliable maintenance and repairing services for Printed Circuit Boards. Our technicians are well aware of latest technology and varied PCBs that allow them to carry out the services in a timely manner. They check the PCBs using our cutting edge technology and latest tools. We offer requisite training to our professionals so that they remain abreast of the changing market trends and offer a flawless range to clients. 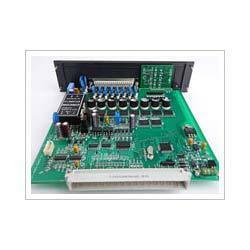 A prominent manufacturer and supplier, we have come up with premium quality range of Instrumentation Control Cards. These are designed and developed using cutting edge technology and in compliance with the industry standards. To assure reliable function, these are checked at different stages of production. Along with this, we also offer excellent after sales services including maintenance and repairing for these instrumentation control cards. Looking for “Circuit Board Design & Development”?